Video for Stalley’s “Boyz-N-Da Hood” inspired track “Jackin’ Chevys”. Last year he had the summer anthem of 2013 (IMO) with “Swangin'”, so let’s see if he can recreate the magic. Even though I am a DJ, I rarely have that much interest in the MTV music awards, or any awards show for that matter. I always felt like the music that is popular in the streets is never accurately represented on these type of shows. 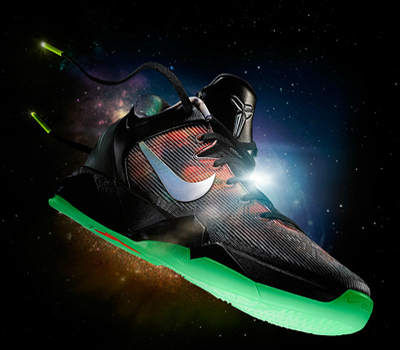 HAPPY BIRTHDAY KOBE BEAN BRYANT! Anybody who knows me, knows that I’ve been a Laker’s fan most of my life. So naturally, Kobe Bryant is one of my favorite players of all time. In honor of his 36th birthday, I will share some of my favorite Kobe memories. Damn shame how Kobe Bryant lit up the Raptors for 81 points off of mostly mid range jumpers. Sheesh! Even though Chris Childs landed a crushing blow to the chin, Kobe ate that punch, contrary to popular belief. Brian McKnight is cool, but Mamba swagged all over this track. It took me a couple years to finally land a pair at a reasonable price, but it was well worth the wait! My favorite pair of shoes that I own. Thanks for the memories Bean. Wishing you a speedy return to form for the 2014-2015 season! Since I have rebranded my blog as Mercurymixtapes.net, the post that has received the most hits was my “Shmoney Dance vs Money Dance” post. As a result, this is a shameless post of Shmoney Dance talk. Ironically, the dance is nothing new. Just a standard old man drunken two step. Hell, even Chris Tucker did it over a decade ago in the Michael Jackson video “You Rock My World”. It also served as Puffy’s go-to move in the 90s, as shown in the “Flava In Ya Ear” remix video. Tags: Bad Boy Entertainment, Biggie Smalls, Brooklyn, CBDE, Junior M.A.F.I.A., Mercury, Notorious B.I.G. This is a re-upload of a mixtape I did around the anniversary of Biggie’s death. 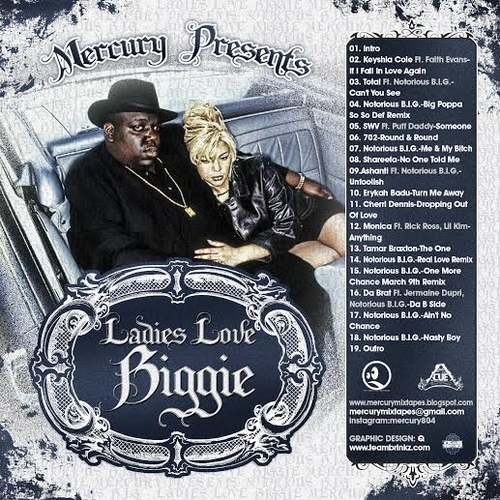 This mix highlights collaborations that Biggie has done with female artists and songs by females that sampled his work. Enjoy!